GO FIGURE: Today, due to the rain, there were only nine matches. Tomorrow there are 87 matches scheduled…Venus Williams is 19-0 in first-round USO matches…Actor Jessie Eisenberg said his profession is a lot easier than tennis, because actors have no enemies …There isn’t much Federer hasn’t done. But tonight’s match against Frances Tiafoe is his first under Arthur Ashe Stadium’s roof. HERE’S ONE THING FED AND FRANCES (SORT OF) HAVE IN COMMON: Roger has 19 Slams. Frances is in his 19th year. THREE AT THREE: Alexander Zverev is the hottest prospect in tennis in years. He’s exciting. But in the press conference after his first round win, there were only three questions. Then again, the press conference was at about 3:00 a.m.
DAMNED IF YOU DO, DAMNED IF YOU DON’T: Andy Murray withdrew on Saturday after the draw was made. He was criticized for waiting until the draw had already been made, but Rafa wondered why he didn’t wait it out to Sunday night or even Monday to see if he could actually play. MURRAY HAS THE MUMBLE TANK – THE US OPEN HAS ITS RUMBLE TANK: One of the delights of the last two Grand Slams of the year is how different Wimbledon and the US Open are from each other. It’s the difference between a genteel tea by the Thames versus a raucous Manhattan sandwich shop – hold the mayo, extra pickles – on the corner of Broadway and 51st Street during lunch hour. While Wimbledon’s Centre Court is famous for its almost transcendent quiet, the US Open’s Ashe Stadium, particularly at night, is an over-the-top rock show. There is no louder place in tennis. Now, when its pricy roof closes, there’s an almost deafening din, a wave of noise and chatter that tumbles down from row Z to courtside. It never stops. It saps energy. Players can’t hear the ball. The tennis loses focus. It’s like a way-too-loud restaurant where you have to shout. Today, after his slightly dicey win, Rafa Nadal candidly complained that the noise was strange and difficult and that something should be done. The USTA did try and make changes during the off-season to diminish the din. A loud air conditioner got the boot. But still the pesky problem persists. And it’s far worse than the roofed courts at Wimbledon or the Aussie Open. OSAKA CAN RISE – BUT HOW HIGH? 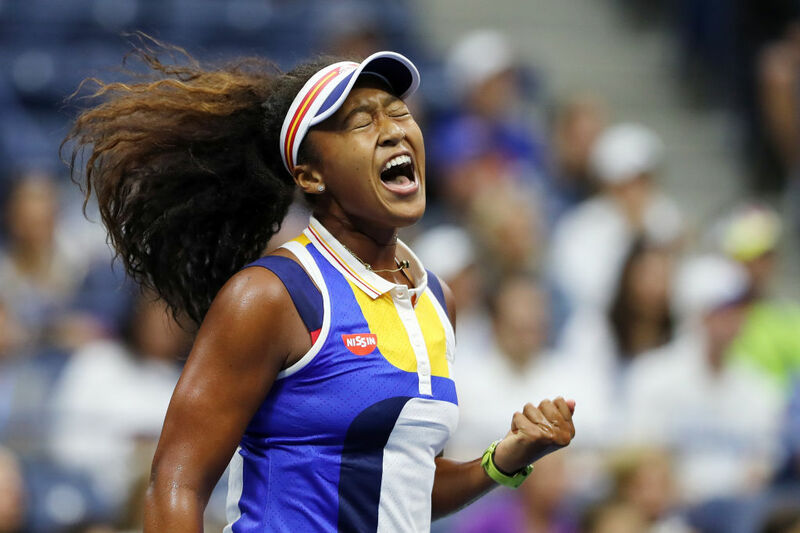 Naomi Osaka, with her Japanese and Haitian roots and American personality, is a delight on court with her big strokes, and a delight off court with her quirky, laid-back personality. Last year at the US Open she was in control of her match against Madison Keys, but she blew it. Still, few doubt the 19-year old will rise high – the question is how high. Today the world No. 45 player scored her first victory over a top 10 player when she defeated defending champion Angelique Kerber. It was the first time a US Open defending champion had lost in the first round since Svetlana Kuznetsova in 2005. ‘I’M TRAPPED’ – THE DISCONTENT OF TENNIS’ POOR LITTLE RICH GUY, BERNIE TOMIC: Tennis is known for its over-the-top characters. There are those who curse the know-nothings of the world – clueless officials and bureaucrats who just don’t get it. There are those who curse their fate or who just like to tweak the establishment or who get their kicks by going against the conventional wisdom. From Pancho Gonzalez to Whitney Reed and Ilie Nastase, from Jimmy Connors and John McEnroe to Goran Ivanisevic and Marat Safin, many an offbeat soul has enlivened the game. These days there are two Aussies who’ve taken up the mantle – the oh-so-talented but perplexing Nick Kyrgios, and Bernie Tomic, who has a penchant to tank matches, serve like a beginner, and view himself as both entitled and somehow trapped. At Wimbledon he admitted that he was bored, and feigned an injury. His racket company cut him loose. With all this in mind, Inside Tennis and other media members dove deep into “Bernie World” and asked Tomic to explain his dystopian universe of modest efforts and substantial burdens. BERNIE TOMIC: It’s an impression. 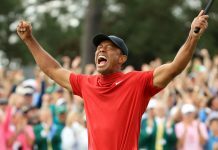 I believe…if you’re giving just 50 percent, the other players that are in the top 10 in the world, top five, they will make $20 million a year. What’s the difference? If you want to be great you have to work harder. Obviously, in my career, I’ve played a bit different, and [sometimes] it’s worked to my advantage and sometimes it hasn’t…There’s a lot of stuff I need to improve on, but I’m only 24. IT: You’ve said you’re just playing tennis as a job. Do you need to put more into your job? BT: Yeah, absolutely…[I did] for two or two-and-a half weeks leading into this, though it wasn’t enough. I took three or four weeks off after Wimbledon, and [then] I got sick and that cost me. I only had two weeks to prepare …[I’m] just not fit enough. Q: Did you consider not coming here? BT: Yeah. I was probably going to make a start in Asia, after I had that two-week sickness. Q: Djokovic and Wawrinka decided to put their rackets up for the rest of the year. Would something like that come into your mind? BT: Yeah, absolutely. But you’re comparing [me with] the greats who’ve won 12 Slams – or Stan [who has won] four Slams – and are in their 30s, and I’m 24. I need to be playing my best tennis now, in the next four or five years, but I need to work hard for this and I need to be healthy…This year, it obviously wasn’t my best…It was my fault, I didn’t do the right things, and it cost me. The sport will give back to you what you put into it. That’s something I’ve learned. I’ve been in this position before and managed to turn it around quickly. It’s just about me staying healthy and doing the right thing for the next six months to a year. IT: Bernie, you said you felt that tennis was a grind and really tough. You added that sometimes you felt trapped. What did you mean by that – how are you trapped? BT: It’s tough. Everyone has their own work, their own job, and it’s not like I can go and start real estate or restaurants, I’ve got no idea about that. My job is only to play tennis, and that’s all I know. I’m not going to finish a doctor’s degree and be the smartest person in the world. My one thing is to play tennis…It’s my life, this world we are trapped in. Until I can hang the rackets up at maybe 33, 34 or I hope longer – if I can win a major or two, maybe I can retire earlier.